What I Wish I’d Known Before my Mission, by John Byetheway is an excellent book for a teenager preparing for their mission. 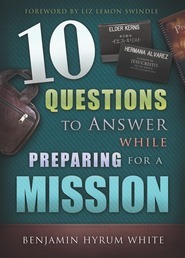 It does a great job of giving an overview of situations and problems you might face in preparing and embarking on a two year mission with the LDS church. Its focus is on being Christ-like in every situation and on losing yourself in service. It helps you to focus on the important things that a mission entails and to forget the unimportant things. It is best summed up by the following quote, “If called to serve is just a catchy slogan or a nice song lyric, it isn’t worth much. It’s got to be real. You must develop a real love for people.” The book is not full of hard hitting doctrine that will blow your mind; instead it is the basics that will help you to be more effective in preaching the gospel. It does a very good job of focusing on the essentials and keeping it simple. As John often does, he works in many comedic moments and comments in the book which help to make it more interesting. 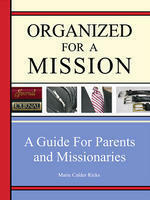 Overall I would recommend reading this book if you are getting ready to serve a mission. It will put your head in the right place and keep you focused on your goal. 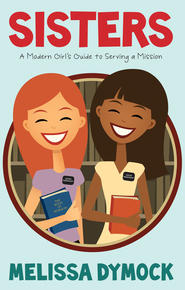 I love this book and I am a mom with no missionary! This book is for everyone!!!!! My brother got this book from my parents when he was preparing for his mission, 7 years ago... now he is married and my sister in law was looking at her books and saw this one standing there, she gave it to me last Sunday and I started to read. I cannot put it down easily in 1.5 days I'm at page 72 and English isn't my home language... I LOVE this book... John Bytheway writes really awesome. I have never heard of him before and I going to order more books from him.. Marvelous Book! Addresses Questions, Answers Prayers! I bought this book only yesterday. Just in the first 25 pages John Bytheway has changed my pre-mission feelings from those of fear and doubt to excitment and enthusiasm. In only these few pages I've recieved answers to countless prayers and he addresses the real concerns and questions that post high-school, pre-mission young men face. 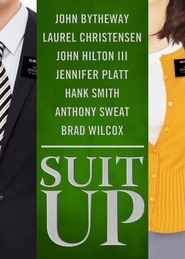 Highly recommended to ALL future missionaries! Highly recommended motivator for youth! I actually haven't read this book myself, since I'm a young married mom who never served a mission. But last spring I gave it to my little brother for his 18th b-day, and he put it on a shelf for months and decided he might not serve a mission. Then last month he was watching TV when 'something' told him to turn it off and read, so he went and got this book off the shelf and ended up reading almost the whole thing that night. Now he's finishing up his mission papers....thanks, Brother Bytheway!